The computer centre is equipped with latest configurations with a high speed and trouble-free internet. 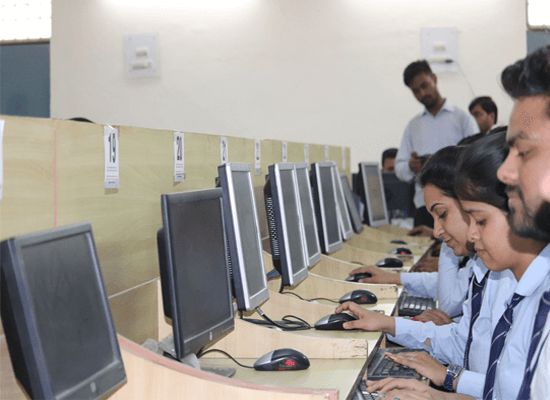 The students are trained in state-of-the-art computer labs which enable them to be in touch with the latest things that are in circulation in the professional world. The computer labs are equipped with intranet facility too that keeps you connected to each other along with the world at the click of your finger. All the correspondence is made electronically through the specific e- mail IDs allotted to each member of the institute. Lab is equipped with latest softwares like Windows 2003 server, Linux server, Novell Netware 5, Windows XP, Windows Vitsa, Oracle, SQL Server, .NET,Visual Studio etc.